Boyz II Men, Sugar Ray, Smash Mouth, Billy Ocean, Tiffany, and Big Bad Voodoo Daddy highlight the Eat to the Beat Concert Series for the 2018 Epcot Food and Wine Festival. 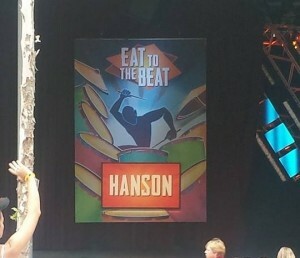 The Eat to the Beat Concert Series is the Epcot Food and Wine Festival’s premier music event included with admission outside of the food and beverages where you can unwind and relax during one of the three shows held each night at the American Gardens Theater. The concerts take place in the amphitheater in front of the American Pavilion that takes place at 5:30 PM, 6:45 PM, and 8:00 PM. Click Here to view Orlando Local Guide’s full coverage of the 2018 Epcot Food and Wine Festival. This entry was posted in Attractions and tagged annual events, concerts, disney world, epcot, food events, november, october, september. Bookmark the permalink.